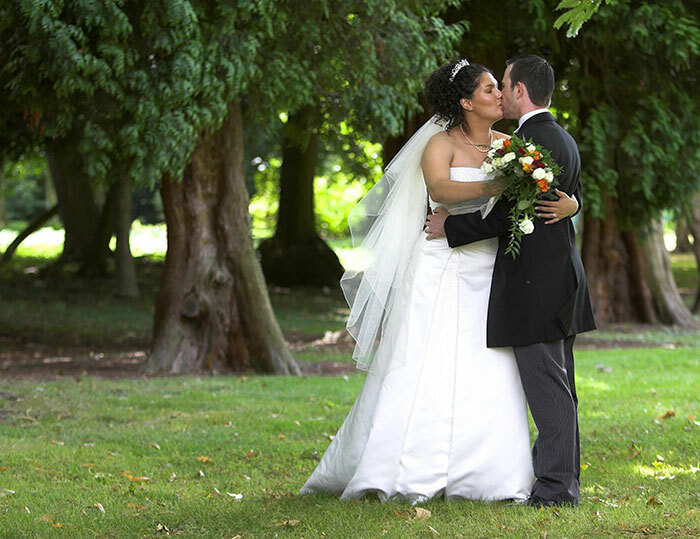 Click HERE for a no hassle availability check and QUOTE for your Orton Hall wedding ! 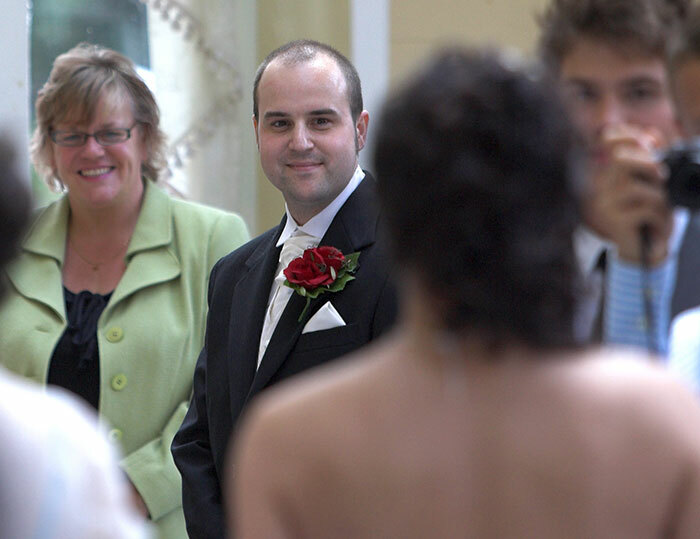 We’ve enjoyed being an Orton Hall wedding photographer since our first wedding at the venue in 2002 …. indeed it is our “local”, being just five minutes from our Orton HQ and we are proud to be a recommended supplier to the venue ! 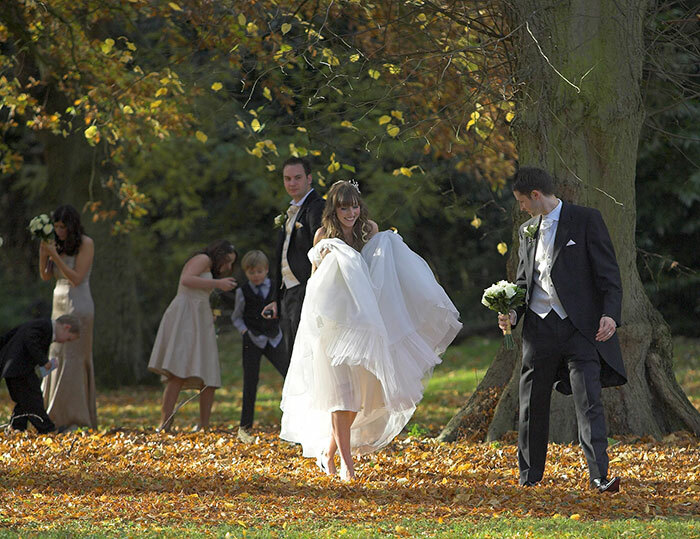 As wedding photography goes, Orton Hall is a five-star venue and delivers on all fronts. 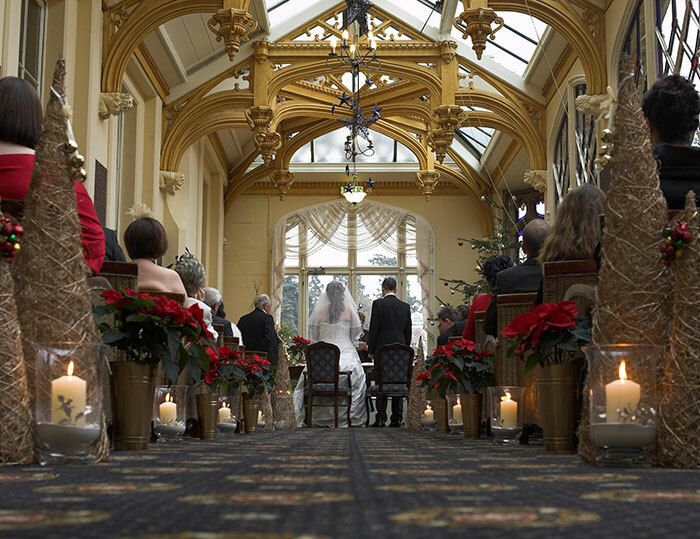 It has great internal options with Conservatory, Great Hall and the wonderful staircase that serves the bride-to-be with her first moments of grandeur on her way down to the service. Once Summer has eased away and the kids are back at school, Orton Hall still looks the part as the Autumnal leaves serve up yet another lovely backdrop. Of course those high heels may start to sink and you may need to carry that dress in places but still well worth the effort …..
Once Winter sets in, bring on the snow as Orton Hall in a white landscape is a site to behold and if your wedding is the far side of the festive season and you’re in luck, you might just time it for the snowdrop season …..
Of course, Orton Hall is not just about what the outside has to offer. 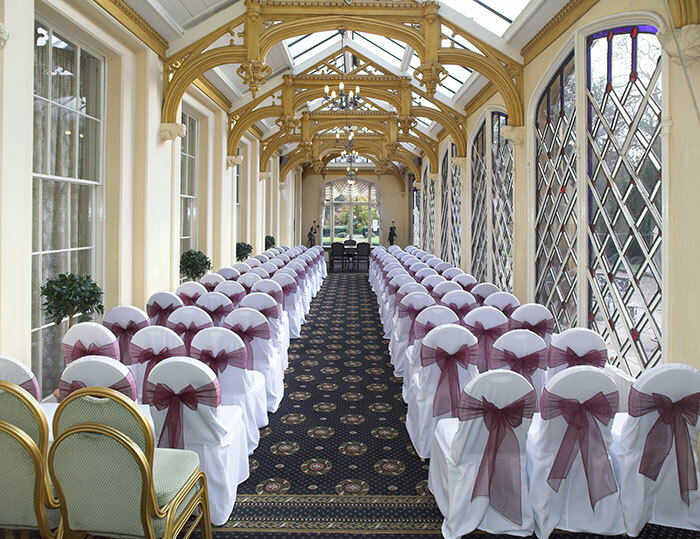 Inside, your wedding day has much to benefit from including the magnificent conservatory which will host your wedding service. The ornate architecture and abundance of light makes this one of the most beautiful service rooms not just in Peterborough but for very many miles around ……. After the service, its off outside if the weather permits to chill out and set up residence on the spacious seated patio area. If the weather doesn’t help us out then no need to panic as the conservatory brings the outside indoors and, with its abundance of natural light, it is ideal for taking both formal and informal photographs. 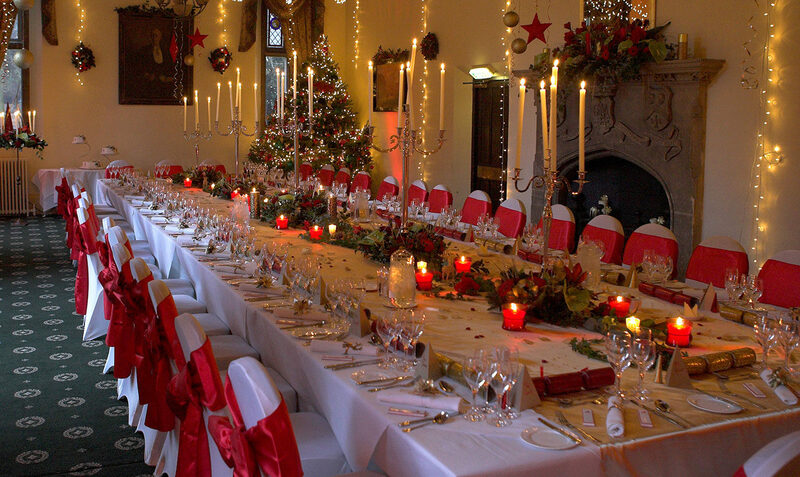 The Great Hall will be home for the wedding breakfast and evening meal and can be arranged and decorated in a variety of styles as seen below and with the stunning Christmas wedding at the top of this page. 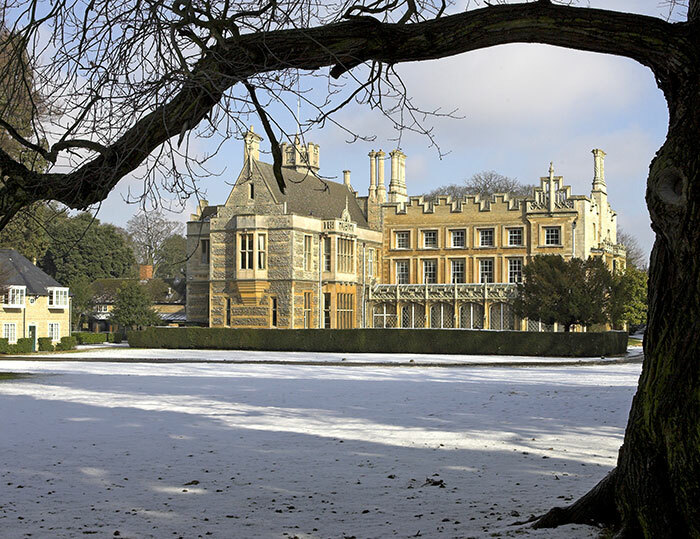 Orton Hall has been a favourite wedding venue of ours since we first started and we have been lucky enough to shoot more weddings here than at any Peterborough venue. 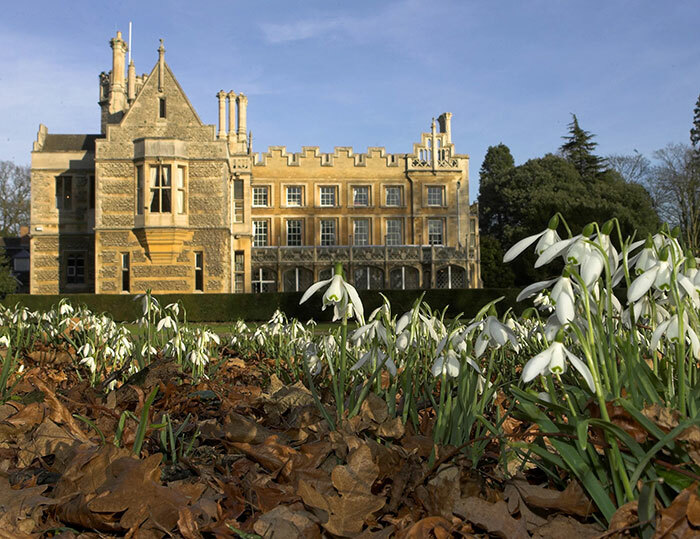 Its an all season venue inside and out ….. and we believe we have the on-site experience to get the very best out of it ! 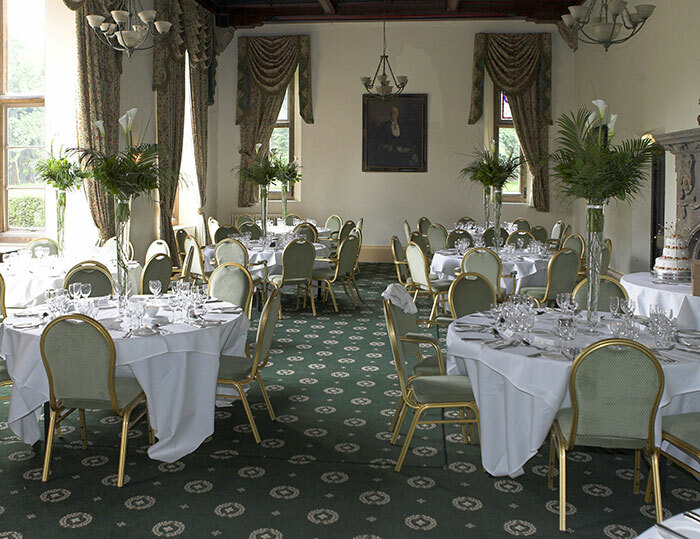 Get yourself a QUOTE for your Orton Hall wedding ! 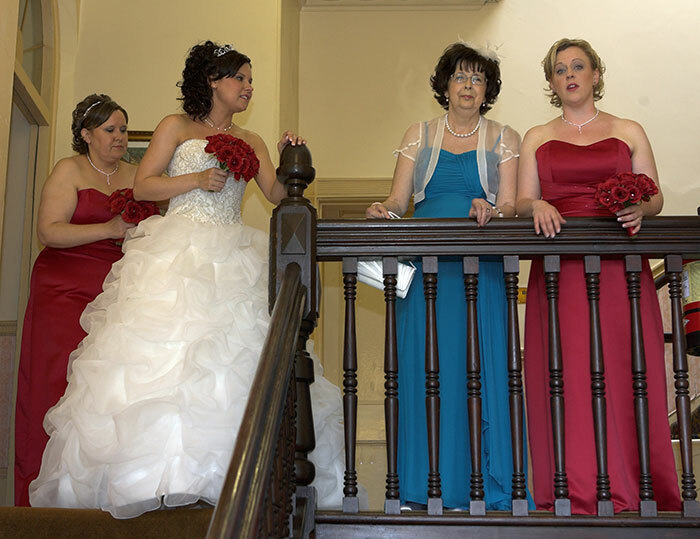 We are so confident that we offer the best value wedding photography packages in the area that if any other wedding photographer quotes you a better like-for-like package price ……. we WILL beat it ! UK COVERAGE – NO TRAVEL COSTS ! 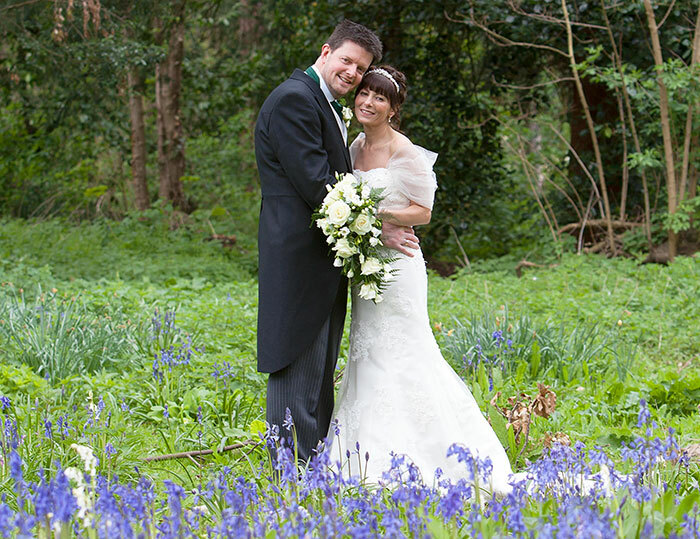 We have covered weddings from the dales of North Yorkshire down to the Isle of Wight and we do not charge travel costs so no matter where you are, get us on your shortlist ! 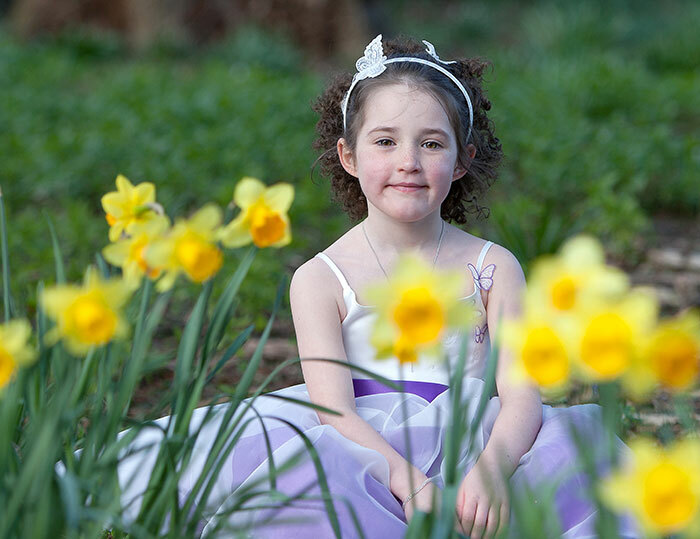 Want to check if we are available and get a wedding photography quote for your date?